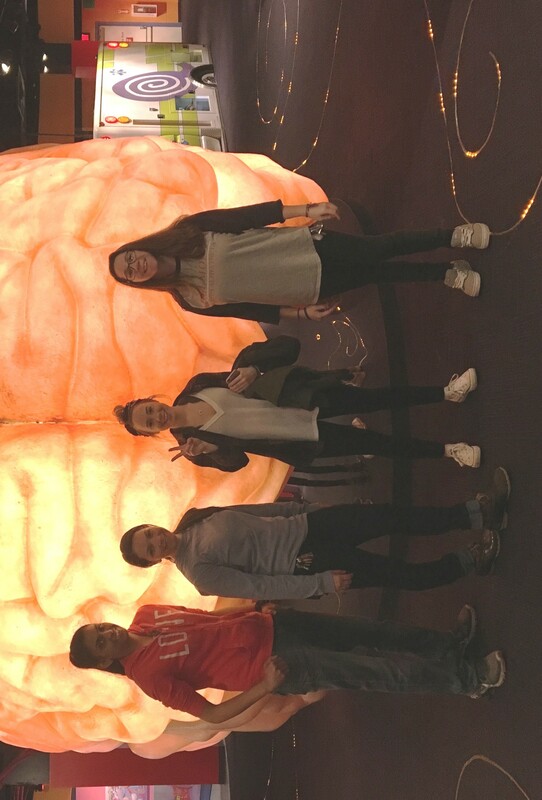 Members of Belmont’s Beta Beta Beta (Tri-Beta) Biological Honor Society recently volunteered at Nashville’s Adventure Science Center’s 14th annual Engineering Day. The event included a number of hands-on opportunities for children to learn about the engineering design process from local engineers and explore exciting student STEM projects while gaining a better understanding of concepts used in the field. Belmont’s Tri-Beta members helped with various stations to teach participants about engineering. Since many of the group’s members have completed advanced coursework in physics, they were able to apply skills they have learned in class. One station involved building Lego-like cars and placing them on ramps. Another station invited participants to build planes with paper and straws–and then test their handiwork with flying contests! For more information on Tri-Beta, click here.